Want Help Filling Newcrest? Check Out #BuildNewcrest! This week, the World of Newcrest was added to The Sims 4 for free*! All you need to do is download the Update and you’ll be able to build whatever you want in the new area. We thought that leaving it empty would allow Simmers to let their creativity shine, and we’ve been blown away by the results already. Since we announced it, we saw players building more than just houses, clubs, and parks – some have been going out of their way to build full neighborhoods! If you want to see what others have come up with, all you need to do is check out the #BuildNewcrest on The Gallery. There, you’ll see a bunch of houses, many of which are made specifically to look cool in a neighborhood together. Looking for a place to start? 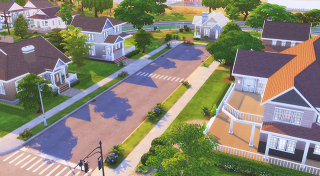 Here are some #BuildNewcrest neighborhoods worth checking out. 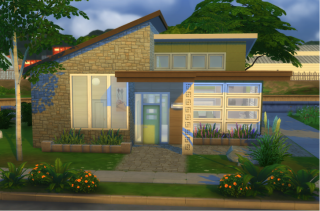 Deligracy put together a contemporary/Australian style neighborhood, with two starter homes and three larger homes. She also put together videos showing off her builds, in case you want to learn more about how she built the houses for Newcrest. There’s one above, and you can check out plenty more on her YouTube channel. 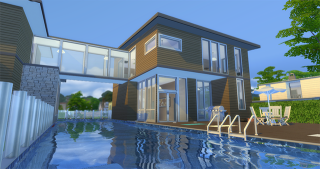 Moving from Australia to Austin, Texas, Ruthless_KK’s neighborhood has a distinctly modern vibe. There are two starter homes, two family homes, and one big, legacy home for Sims with a little more to spend. Ruthless_KK runs a blog where she shows off her builds, and you can check it out for more pictures to learn about her inspiration. Vixella’s homes have a nice suburban vibe going for them, and that was intentional – she wanted to make them all feel comfortable and ready for big families. Vixella runs a YouTube channel where she shows off videos of The Sims 4 and more. You can head there now to see additional build videos to see how she created her houses for Newcrest. 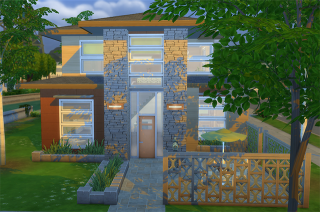 Have you built any cool lots for Newcrest? Upload them with #BuildNewcrest, and check out the hashtag in The Gallery for more awesome fan-made neighborhoods!